All I know is Frederick Wray is in the 1881 census at the Yew Tree and is also in the Kellys Directory for 1882 at the same Place. But in the 1886 Kellys, there is a Newberry as landlord. In 1871 there is an Elliott who is land lord. If you have any ” landlord info on the yew tree I would be Grateful. 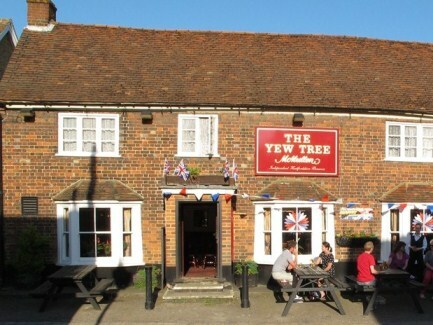 Part of the problem with the Yew Tree, like the Red Lion, is that it was a complex mixture of buildings and workyards, so it can be hard to know quite what the arrangement was, especially as more often than not it was the wife who actually ran the pub. What I have pieced together though is that Henry Elliott, bricklayer & publican, with wife Ann, ran the Yew Tree from at least 1848. Henry?s brother Edward ran the White Lion until he died in 1865 when his wife Eliza took over, and she appears to have taken over the Yew Tree in about 1870 when Henry Elliott left for London. Eliza left when she married butcher Thomas Moulden and they moved to Stevenage. By 1874, Frederick Wray was listed as being at the Yew Tree, but so was William Newberry. Frederick was a farmer, William a blacksmith, and it is quite possible that although they lived at or nearby the Yew Tree (the blacksmithy was just a couple of doors down), their wives ran the pub. 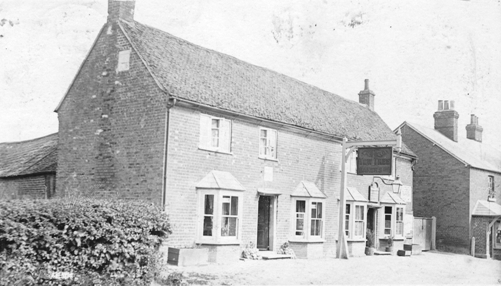 The Wray family had moved from the Yew Tree by 1891- William Newberry had retired from blacksmithing by then, but he is described as the Yew Tree publican until the turn of the century. By 1901, William Newberry, no longer a publican, had moved further along the High Street, and William Wright and his wife Mary had moved into the Yew Tree. He was a horse breaker, she was the publican. By 1908 the pub was being run by Thomas Baggs Vye.